Amazon Prime Video is bringing UFC pay-per-view events to viewers in the U.S. The deal started last Saturday, March 2nd with UFC 222: Cris Cyborg vs. Yana Kunitskaya. No Prime membership is required to watch pay-per-view-events on Prime Video, you just need to purchase the fight. UFC 222 cost $64.99 to enable the streaming. According to a Washington Post poll, 38% of mixed martial arts fans are African-American, and 31% are Hispanics. 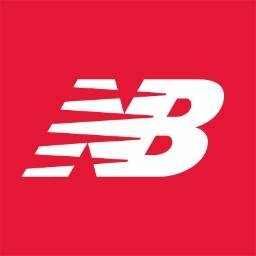 The New York Mets and New Balance announced a long-term sponsorship making New Balance the official footwear and apparel company of the Mets and Citi Field. The deal includes New Balance presence throughout Citi Field beginning in 2018. 31% of MLB players are Latino, according to ESPN. ESPN and ESPN Deportes will broadcast MLB regular-season games in Puerto Rico and Mexico this season. Formula 1 is launching F1 TV, which will serve as the sport’s OTT platform and represent F1’s largest investment to date into its digital properties. Live streams will run ad-free and will include multi-language commentary. Subscribers will also be able to watch the FIA Formula 2 Championship, GP3 Series, and Porsche Supercup, among others. Pizza Hut has become the Official Pizza Sponsor of the NFL after the league ended its partnership with Papa John’s Pizza. The multi-year agreement will offer Pizza Hut a vast array of exclusive marketing rights. ExxonMobil signed a multi-year marketing partnership with the Boston Celtics, Charlotte Hornets, and Houston Rockets. ExxonMobil’s will keep being the “Official Motor Fuel of the National Basketball Association” in those markets. Pacific Pro Football and adidas announced a multiyear partnership, becoming the exclusive footwear and apparel supplier for Pacific Pro's inaugural four teams. Together with Pacific Pro Football, adidas will lead on all aspects of branding, marketing, and uniform design, as well as contribute to league development.